If you happened to miss the news, ESPN The Magazine released a “Dominant 20” list that ranks the 20 most dominant athletes in the last 20 years. This piece got tons of media attention, due to the fact that there were some bold rankings i.e. Tom Brady at 20 while Peyton Manning fell within the top 5. Below these rankings will be based off an average of both rankings we had, below each ranking we will show where both George & Sami each had these athletes. From 17-24 is players that were only on one of our lists and they were place based on how high they were on an individual list. Share your dominant 20 and your thoughts in the comments. NOTE: This list will begin with 24 down to the 1 spot. If you listened to the podcast above, you’d know there was a serious debate about Tim Tebow. Conclusion, his college career was worthy of being on this list. He played college football for the University of Florida, winning the Heisman Trophy in 2007 and appearing on BCS National Championship-winning teams during the 2006 and 2008 seasons. Tebow was selected by the Denver Broncos in the first round of the 2010 NFL Draft and spent two seasons with the team. Tebow became the Florida Gators’ starting quarterback during the 2007 season when he became the first college sophomore to win the Heisman Trophy. In 2008, Tebow led Florida to a 13–1 record and its second national championship in three years, and was named the offensive MVP of the national championship game. The Gators again went 13–1 in 2009, his senior year. At the conclusion of his college career, he held the SECs all-time records in both career passing efficiency and total rushing touchdowns, appearing second and tenth (respectively) in the NCAA record book in these categories. He is widely considered one of the greatest players in NBA history. At 7ft 1in tall and 325 pounds, he was one of the heaviest players ever to play in the NBA, where he played for six teams throughout his 19-year career. After four years with the Magic, where he reached an NBA Finals, O’Neal signed as a free agent with the Los Angeles Lakers. They won three consecutive championships in 2000, 2001, and 2002. Amid tension between O’Neal and Kobe Bryant, O’Neal was traded to the Miami Heat in 2004, and his fourth NBA championship followed in 2006. O’Neal’s individual accolades include the 1999–2000 MVP award, the 1992–93 NBA Rookie of the Year award, 15 All-Star game selections, three All-Star Game MVP awards, three Finals MVP awards, two scoring titles, 14 All-NBA team selections, and three NBA All-Defensive Team selections. He is one of only three players to win NBA MVP, All-Star game MVP and Finals MVP awards in the same year (2000). As a shortstop, Jeter spent his entire 20-year MLB playing career with the New York Yankees. A five-time World Series champion, Jeter is regarded as a central figure of the Yankees’ success of the late 1990s and early 2000s for his hitting, baserunning, fielding, and leadership. He is the Yankees’ all-time career leader in hits (3,465), doubles (544), games played (2,747), stolen bases (358), times on base (4,716), plate appearances (12,602) and at bats (11,195). His accolades include 14 All-Star selections, five Gold Glove Awards, five Silver Slugger Awards, two Hank Aaron Awards, and a Roberto Clemente Award. Jeter was the 28th player to reach 3,000 hits and finished his career ranked sixth in MLB history in career hits and first among shortstops. In 2017, the Yankees retired his uniform number 2. He is now the CEO and co-owner of the Miami Marlins. Armstrong is the 1993 professional world champion, and won the Tour de France a record seven consecutive times from 1999 to 2005. However, in 2012, he was banned from sanctioned Olympic sports for life as a result of long-term doping offenses. As part of those sanctions, all results going back to August 1998, including his seven Tour wins, were voided. While he was voided of these wins, he was still one of the most dominant athletes during that span. From 2002 to 2006 he held the major league record for the highest career winning percentage by a pitcher with at least 200 decisions; with a final record of 219 wins and 100 losses, he retired with the fourth-highest percentage in history, and the highest by a right-hander since the modern pitching era began in 1893. He ended his career with an earned run average (ERA) of 2.93, the sixth-lowest by a pitcher with at least 2,500 innings pitched since 1920. Martínez reached the 3,000 strikeout mark in fewer innings than any pitcher except Randy Johnson, and is the only pitcher to compile over 3,000 strikeouts with fewer than 3,000 innings pitched; his career strikeout rate of 10.04 per 9 innings trails only Johnson (10.61) among pitchers with over 1,500 innings. An eight-time All-Star, Martínez was at his peak in the years from 1997 to 2003, establishing himself as one of the most dominant pitchers in history. He won three Cy Young Awards (1997, 1999, 2000) and was runner-up twice (1998, 2002), posting a cumulative record of 118–36 (.766) with a 2.20 ERA while leading his league in ERA five times and in winning percentage and strikeouts three times each. In 1999 he was runner-up for the American League (AL) Most Valuable Player Award after winning the pitching Triple Crown with a 23–4 record, 2.07 ERA and 313 strikeouts, and – along with Johnson – joined Gaylord Perry in the rare feat of winning the Cy Young Award in both the American and National Leagues. He is also the record holder for the lowest single-season WHIP in major league history with 0.737, doing so in 2000. He played 22 seasons in MLB for the Seattle Mariners, Texas Rangers, and New York Yankees. Rodriguez was one of the sport’s most highly touted prospects and is considered one of the greatest baseball players of all time. Rodriguez amassed a .295 batting average, 696 home runs, over 2,000 RBIs, over 2,000 runs scored, and over 3,000 hits. He is a 14-time All-Star and won three AL MVP Awards, ten Silver Slugger Awards, and two Gold Glove Awards. Rodríguez is the career record holder for grand slams with 25. He signed two of the most lucrative sports contracts in history, but his career was highly controversial. He incurred criticism from the media for his behavior and use of performance-enhancing drugs. Duncan played his entire 19-year career with the San Antonio Spurs . Widely considered to be the greatest power forward of all time, he is a five-time NBA champion, two-time NBA MVP, three-time NBA Finals MVP, NBA All-Star Game MVP and NBA Rookie of the Year. He is also a 15-time NBA All-Star and the only player to be selected to both the All-NBA and All-Defensive Teams in all of his first 13 seasons. Many refer to Duncan as the greatest Spurs player of all time. Considered to be one of the greatest quarterbacks of all time due to his numerous career achievements, he spent 14 seasons with the Colts and was a member of the Denver Broncos in his last four seasons. Manning played college football for the University of Tennessee, leading the Tennessee Volunteers to the 1997 SEC Championship in his senior season. He is the second son of former NFL quarterback Archie Manning and older brother of New York Giants quarterback Eli Manning. Manning was selected by the Colts as the first overall pick in the 1998 NFL Draft. From 1998 to 2010, he improved the fortunes of the struggling Colts franchise and helped transform them into consistent playoff contenders. During his tenure as starting quarterback, Manning led the team to eight division championships, two AFC championships, and one Super Bowl title, the franchise’s first in over three decades, as well as their first since relocating to Indianapolis. He later took the Broncos to 2 Super Bowls, winning 1 before retiring after that game. He played his entire 20-year career with the Los Angeles Lakers. He entered the NBA directly from high school and won five NBA championships with the Lakers. Bryant is an 18-time All-Star, 15-time member of the All-NBA Team, and 12-time member of the All-Defensive team. He led the NBA in scoring during two seasons, and ranks third on the league’s all-time regular season scoring and fourth on the all-time postseason scoring list. He holds the NBA record for the most seasons playing with one franchise for an entire career and is widely regarded as one of the greatest basketball players of all time. Bryant is the first guard in NBA history to play for at least 20 seasons. He also scored 81 points in one game and ended his final game of his career with a 60 point performance. Messi is also often considered the best player in the world and regarded by many as the greatest of all time along with Ronaldo, Messi has a record-tying five Ballon d’Or awards, four of which he won consecutively, and a record-tying four European Golden Shoes. He has spent his entire professional career with Barcelona, where he has won 30 trophies, including eight La Liga titles, four UEFA Champions League titles, and five Copas del Rey. Both a prolific goalscorer and a creative playmaker, Messi holds the records for most official goals scored in La Liga (374), a La Liga season (50), a club football season in Europe (73), a calendar year (91), El Clásico (25), as well as those for most assists made in La Liga (149) and the Copa América (11). He has scored over 600 senior career goals for club and country. Bonds received seven NL MVP awards and 14 All-Star selections, and is considered to be one of the greatest baseball players of all time. Bonds was regarded as an exceptional hitter: he led MLB in on-base plus slugging six times, and placed within the top five hitters in 12 of his 17 qualifying seasons. He holds many MLB hitting records, including most career home runs, most home runs in a single season (73, set in 2001) and most career walks. He also received eight Gold Gloves for his defense in the outfield. He is ranked second in career Wins Above Replacement among all major league position players by both Fangraphs and Baseball-Reference.com, behind only Babe Ruth. Bonds led a controversial career, notably as a central figure in baseball’s steroids scandal. In 2007, he was indicted on charges of perjury and obstruction of justice for allegedly lying to the grand jury during the federal government’s investigation of BALCO. The perjury charges against Bonds were dropped and an initial obstruction of justice conviction was overturned in 2015. In 2018, Bonds was not elected into the National Baseball Hall of Fame in his sixth of ten years of eligibility. He is one of only two players to win five Super Bowls (the other being defensive player Charles Haley) and the only player to win them all playing for one team. Brady has been honored with four Super Bowl MVP awards (Super Bowl XXXVI, XXXVIII, XLIX, and LI), the most ever by a single player, has won three league MVP awards (2007, 2010, 2017), has been selected to 13 Pro Bowls, and has led his team to more division titles (15) than any other quarterback in NFL history. As of the end of the 2017 regular season, Brady is fourth all-time in total career passing yards, tied for third (with Drew Brees) in career touchdown passes, and third in career passer rating. His career postseason record is 27–10, winning more playoff games than any other quarterback, and he has appeared in more playoff games than any player at any position. Brady has never had a losing season as a starting quarterback in the NFL. In Brady’s 16 seasons as a starter, he has quarterbacked the Patriots to eight Super Bowl appearances, the most for any player in history. Widely regarded as one of the greatest NBA players of all time, he has won three NBA championships, four NBA MVP Awards, three NBA Finals MVP Awards, three NBA All-Star Game MVP Awards, two Olympic gold medals, an NBA scoring title, and the NBA Rookie of the Year Award. James is a 14-time NBA All-Star, 11-time All-NBA first teamer, and five-time All-Defensive first teamer. He is also the Cavaliers’ all-time scoring leader, the NBA All-Star Game career scoring leader, and the NBA career playoff scoring leader. After graduating high school, he was selected by his home team, the Cleveland Cavaliers, as the first overall pick of the 2003 NBA draft. James led Cleveland to the franchise’s first Finals appearance in 2007, ultimately losing to the San Antonio Spurs. In 2010, he left the Cavaliers for the Miami Heat, a controversial move featured in an ESPN special titled The Decision. James spent four seasons with the Heat, reaching the Finals all four years and winning back-to-back championships in 2012 and 2013. In 2013, he led Miami on a 27-game winning streak, the third longest in league history. Following his final season with the Heat in 2014, James opted out of his contract and returned to the Cavaliers. From 2015 to 2017, he led the Cavaliers to three consecutive Finals, winning his third championship in 2016 to end Cleveland’s 52-year professional sports title drought. Following an outstanding junior, college, and amateur career, Woods was 20 years old when he turned professional at the end of summer in 1996. By the end of April 1997, he had won three PGA Tour events in addition to his first major, the 1997 Masters. Woods won this tournament by 12 strokes in a record-breaking performance and earned $486,000. He first reached the number one position in the world rankings in June 1997, less than a year after turning pro. Throughout the 2000s, Woods was the dominant force in golf—he won the 2000 U.S. Open by an incredible 15-shot margin. He was the top-ranked golfer in the world from August 1999 to September 2004 (264 weeks) and again from June 2005 to October 2010 (281 weeks). Woods took a hiatus from professional golf from December 2009 to early April 2010 in order to focus on difficult issues in his marriage. This was followed by a loss of golf form, and his ranking gradually fell to a low of No. 58 in November 2011. He ended a career-high winless streak of 107 weeks when he triumphed in the Chevron World Challenge in December 2011. After winning the Arnold Palmer Invitational on March 25, 2013, he ascended to the No.1 ranking once again, holding the top spot until May 2014. Woods is currently (2018) succeeding in many tournaments beginning another comeback. Woods could easily be in the No. 1 spot if their was no gap in the dominance. Where to start, where to start… Oh yeah, he is the most successful and most decorated Olympian of all time, with a total of 28 medals spanning from 2001 through 2016. Phelps also holds the all-time records for Olympic gold medals (23), Olympic gold medals in individual events (13), and Olympic medals in individual events (16). When he won eight gold medals at the 2008 Beijing Games, Phelps broke fellow American swimmer Mark Spitz’s 1972 record of seven first-place finishes at any single Olympic Games. At the 2004 Summer Olympics in Athens, Phelps had already tied the record of eight medals of any color at a single Games by winning six gold and two bronze medals. At the 2012 Summer Olympics in London, Phelps won four gold and two silver medals, and at the 2016 Summer Olympics in Rio de Janeiro, he won five gold medals and one silver. This made him the most successful athlete of the Games for the fourth Olympics in a row. He is the first person to hold both the 100 meter and 200 meter world records since fully automatic time became mandatory. He also holds the world record as a part of the 4 × 100 meter relay. He is the reigning Olympic champion in these three events. Due to his dominance and achievements in sprint competition, he is widely considered to be the greatest sprinter of all time. Bolt is an eight-time Olympic gold medalist, Bolt won the 100 m, 200 m and 4 × 100 m relay at three consecutive Olympic Games. The Women’s Tennis Association (WTA) has ranked her world No. 1 in singles on eight separate occasions over the last 15 years from 2002 to 2017. She became the world No. 1 for the first time on July 8, 2002. On her sixth occasion, she held the ranking for 186 consecutive weeks, tying the record set by Steffi Graf for the most consecutive weeks as world No. 1 by a female tennis player. In total, she has been world No. 1 for 319 weeks, which ranks third in the Open Era among female players behind Graf and Martina Navratilova. Some commentators, players and sports writers regard her as the greatest female tennis player of all time. On April 19, 2017, she announced a hiatus from tennis until 2018 because of pregnancy. NOTE: She also won the Australian Open in 2017 while pregnant, which is just downright amazing. Currently ranked world No. 1 in men’s singles tennis by the Association of Tennis Professionals (ATP). Federer has won 20 Grand Slam singles titles—the most in history for a male player—and has held the world No. 1 spot in the ATP rankings for a record total of 307 weeks, including 237 consecutive weeks. After turning professional in 1998, he was continuously ranked in the top ten from October 2002 to November 2016. 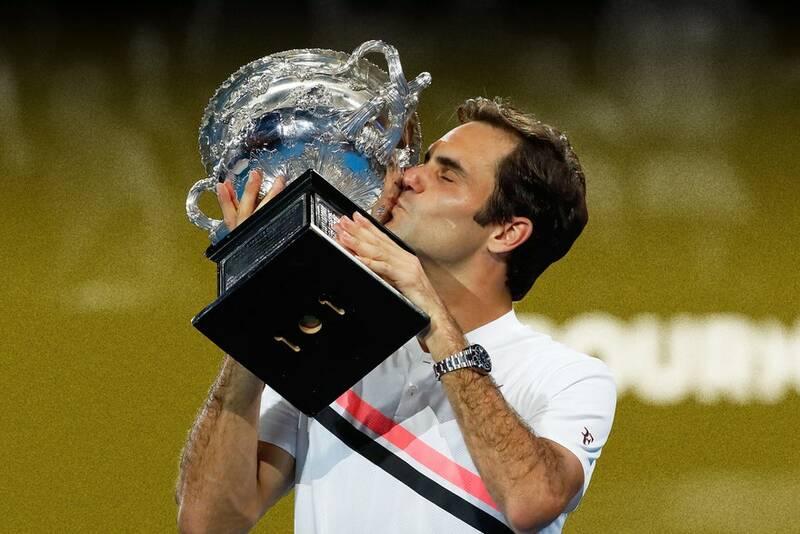 He re-entered the top ten following his victory at the 2017 Australian Open. To be a No.1 ranked player in 2004 and still dominating with nearly the same excellence in 2018 is a mind blowing accomplishment. We aren’t ranking this based off the best human, or the cleanest record’s, this is based off pure dominance in a sports. It’s pretty simple and clear with Floyd. He competed from 1996 to 2007 and 2009 to 2015, and made a one-fight comeback in 2017. During his career, he held multiple world titles in five weight classes and the lineal championship in four weight classes (twice at welterweight), and retired with an undefeated record of 50–0, surpassing Rocky Marciano’s record of 49–0.